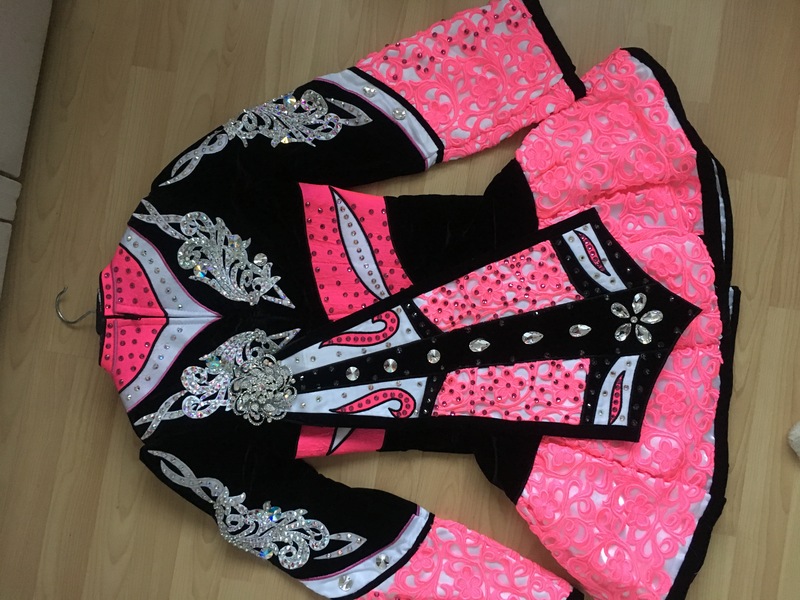 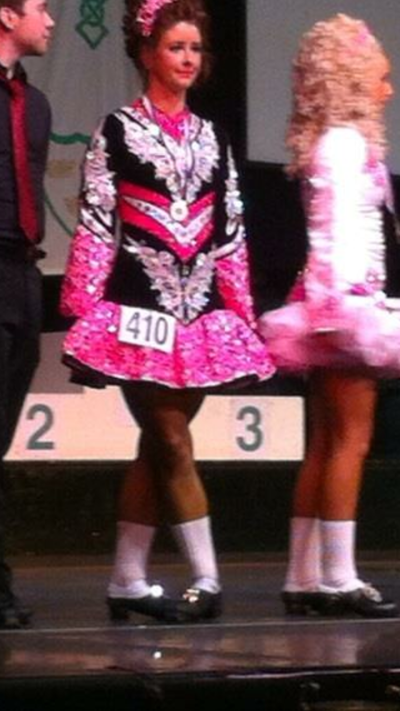 Stunning pink lace on white satin and black velvet Irish dancing costume for sale. 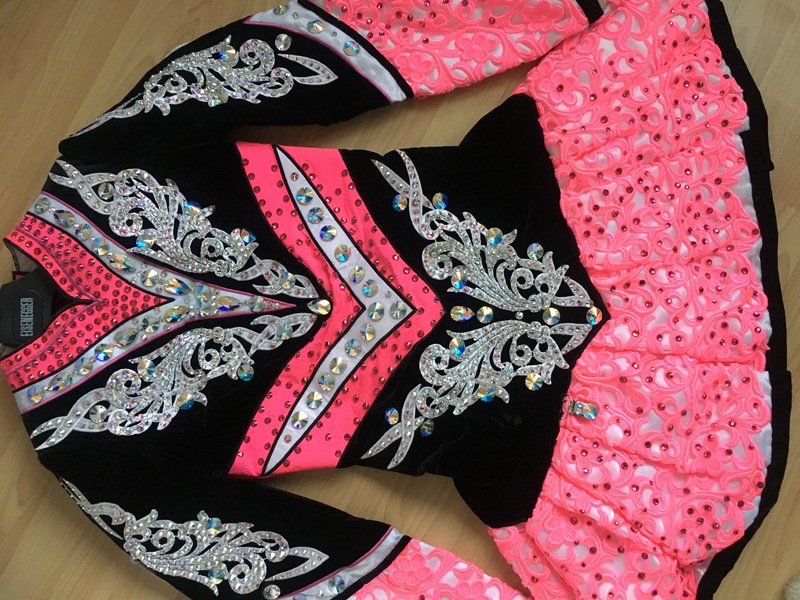 Thousands of irredescent Swarovski crystals. 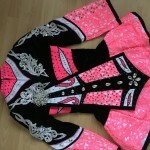 Excellent condition as only worn once due to retirement.